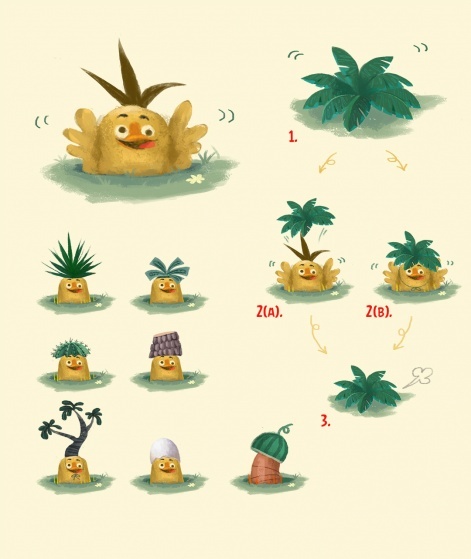 Bouncing birds and staying on brand: The making of Angry Birds Action! The Angry Birds franchise has been translated into just about every genre going, from racing, to RPG. There's even an upcoming soccer game. But most recently, the Angry Birds have been put in a pinball-style game akin to Japanese #1 Monster Strike - and with a whole new design to tie-in with the recent Angry Birds Movie - in the form of Angry Birds Action!. To find out more, we talked to Marc Williamson, Development Director at the game's developer, Dundee-based Tag Games, about how the studio got to work on the game, and how it went about bringing a new breed of birds into the world. PocketGamer.biz: How did the partnership between Tag Games and Rovio come about? Marc Williamson: Tag have known the team at Rovio for many years. Around the same time we started our journey into understanding free-to-play gaming, Rovio were doing the same, and so the relationship deepened on the basis of open knowledge share. When the opportunity to work on Angry Birds Action! was offered we jumped at the chance, and, after some hard work, beat off global competition to win the project via a standard tendering process. How open were the initial discussions about style of gameplay, or was it always going to be a pinball-style game? 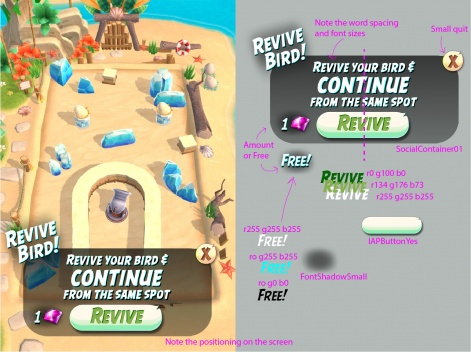 The initial brainstorming sessions were really open, all based upon how we could keep familiarity with the existing Angry Birds games, but utilise a new 3D viewpoint and add a new twist to the gameplay. Some initial ideas included taking the game in a direction closer to Peggle, and also something more akin to mini-golf, but with explosives. Much of the game content was tied to The Angry Birds Movie. 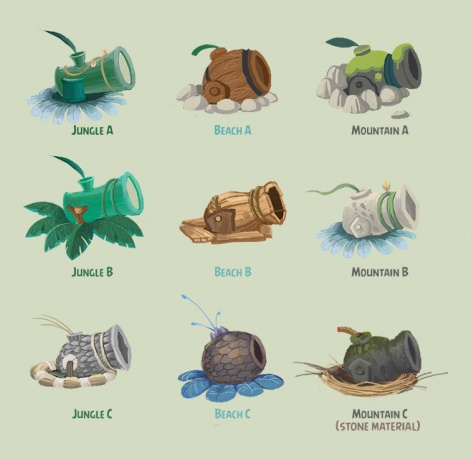 As much of the game content was tied to The Angry Birds Movie, we also had to think carefully about building a game that allowed us to bring the characters to the forefront - especially as the game would be the first time many fans would experience the new character designs. How much inspiration did you take from games such as Monster Strike and, socially, Candy Crush Saga? Obviously we look at a huge number of games, both those that are successful and those less so. Inspiration can come from a number of sources, and not always games. Where it’s clear that another developer has executed a relevant game feature extremely well, we will try to deconstruct it in as much detail as possible to understand why it works. 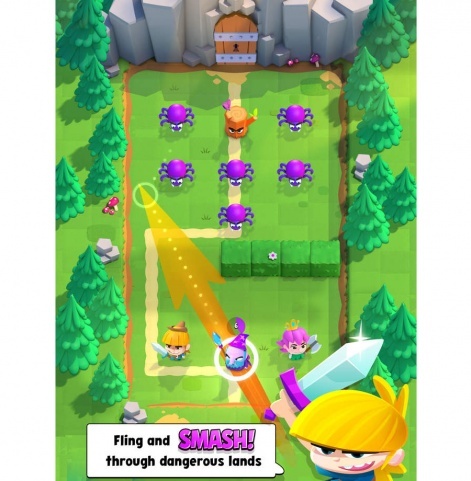 Monster Strike wasn’t used internally as a reference point, but early on we did spend a lot of time deconstructing Supercell’s Smash Lands, which was soft launched during our development. It was interesting for us that another F2P developer was exploring pinball mechanics at the same time. Candy Crush Saga is, of course, an amazing title but as we had already assimilated the learnings from that game long ago, it was only used briefly to refer to systems we were designing. What do you think is the core attraction of Angry Birds Action!? It’s a simple, pick up and play experience to be enjoyed in bitesize chunks. We have invested a great deal of effort in capturing the look and feel of the movie. It’s the kind of game you play while at the bus stop or sitting on the toilet, so we have cut out all the waiting and focused on keeping things fast and action-packed. We have also invested a great deal of effort in capturing the look and feel of the movie. Getting the visual style on brand and characters as close to their cinematic counterparts as possible, whilst keeping within the technical limitations of mobile is an aspect of working with brands we have become adept at. Traditionally Angry Birds games use lives, whereas Action! has an energy system. What was the reason behind this change? Flexibility was a key issue here. We knew that some players would prefer a lives system, but on the other hand we also needed to control the session length and burn rate of our content. We can balance this better with an energy system and have more control over defining session lengths if we need to. By giving away energy at the end of a completed stage, we can always make an energy system behave in a similar fashion to lives anyway. A straight-up lives system is however much less flexible. How long did development take, and how many people were involved? Development started with a three month prototyping phase and a small team of around 10 involved. This helped answer a lot of the questions surrounding the new pinball mechanics and established good working practises between the teams at Tag and Rovio. As we moved into full development, the size of the team increased to around 25. The large team size was necessary both because of the scale of the project and the hard launch date driven by the movie release. Delivering late was not an option! Did you use any notable tools or technologies? We initially prototyped using Unity, as it’s very fast to get game mechanics up and running. This phase went so well that the decision was made to continue with Unity for the full development. We integrated a number of interesting technologies into the game including Zapper and “Movie Magic”, which brought the marketing of the game and movie much closer than has ever been attempted before. Early user testing showed that many people felt the narrative simply slowed the pace of the game down. We think players will really enjoy the fact that the movie itself can be used to unlock new content in the game. Angry Birds Action! isn't a traditional movie tie-in game, so what was your thinking about how to generate synergies between the movie and the game? Originally we had a story and lots of dialogue which set the game as an adventure taking place before the events of the movie. However, early user testing showed that many people felt the narrative simply slowed the pace of the game down. We cut almost all of it and we know that it makes for a better experience overall. Our synergy instead came from working movie locations and characters into the game and making them faithful to the screens and concept work being provided by the movie animators. Being the first title to use the new character designs helped strengthen the game as a movie companion piece, as did the implementation of the Movie Magic systems which allow players to interact with the film itself. What was the biggest challenge you had to overcome during development? As we were working to a fixed movie release date, we had time pressure from the start of development. We knew, for example, that the soft launch period was likely to be weeks, rather than months, and so the biggest challenge was always the clock ticking down! How did you approach soft launch, and did you learn/change anything significant due to player feedback? As mentioned, we didn’t have a great deal of time in soft launch, but it was enough to make some meaningful changes. The story was cut, new tutorial systems designed and new features were brought in on the basis of the data we were getting. We reduced the ‘thinking’ time when making a shot, as some players were playing the game more like pool than pinball, and we also decided to introduced the Piggie Plane item drops much earlier in the game, adding more possibilities and an extra random element to proceedings. At what stage of development did you think you had a game you were happy with? As a producer, I’m not sure you are ever truly happy. You always see bugs that were never closed, or wish that a feature still in development is live already. However, we knew after the prototyping phase that adding a pinball twist to the Angry Birds formula would be really fun. At the turn of the year we knew it was all finally coming together, and the data we received from February’s soft launch soon validated this. Although it's early days, how pleased are you with the launch? Very pleased, since the game has had a very strong start. The only disappointment is that a few bugs have affected the Android version which I’d have liked to have seen resolved earlier, but when a game is played by millions of people there will also be a few pesky ones that sneak through. The good news is that we’re still working hard on the game, and the best is yet to come in the months ahead. What can you tell us about plans for updates? They are coming, and that’s about all I can reveal! Can you tell us anything about other projects you have in the works? 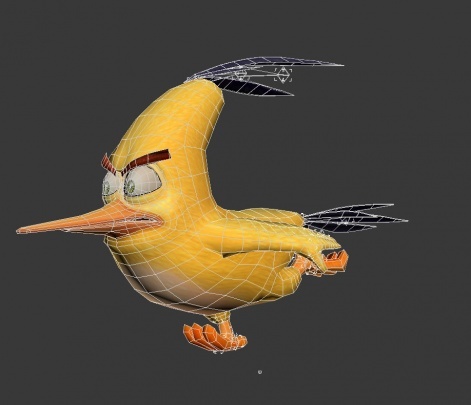 We are a team of around 50 and a good proportion of the studio have been working on Angry Birds Action! and will continue to do so. As for the rest... well, you’ll have to wait and see, but I can say that Tag Games is dipping its toe back into original IP again for the first time in a while.